Fans of Pinoy boxing champ, Sen. Manny Pacquiao in Tarlac City may thank their local government. 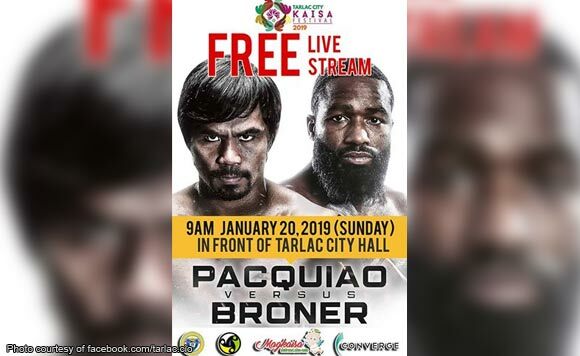 Mayor Cristy Angeles decided to offer a public viewing of Pacquiao’s fight with American boxer Adrien Broner on Jan. 20. The fight will be livestreamed on a screen in front of the City Hall, as a way to support the Filipino athlete. The best part: The public viewing would be free to all Tarlaqueños!